When National Award-winning makeup and prosthetics specialist Preetisheel Singh designed Nawazuddin Siddiqui’s look for the Sridevi starrer Mom, everyone was stunned by the transformation. The prosthetics expert has now created yet another transformational look for Nawazuddin for the role of Shiv Sena supremo Bal Thackeray in the upcoming biopic Thackeray. 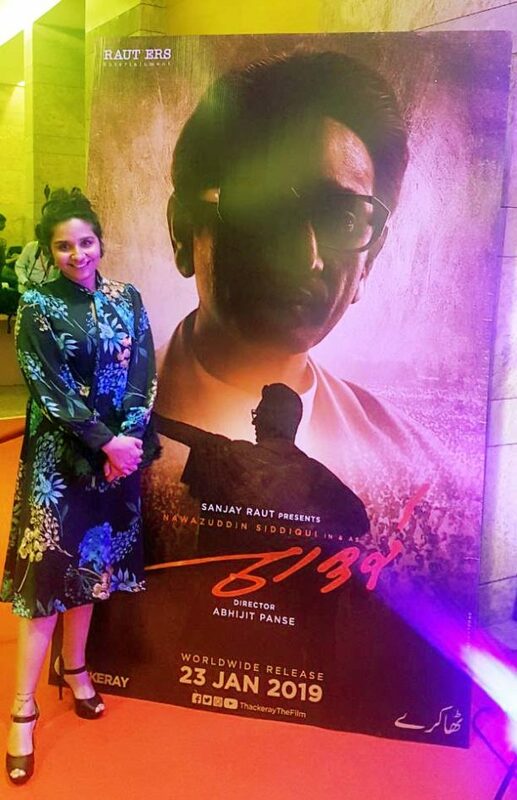 Ever since the teaser poster of Thackeray was released by Uddhav Thackeray and Amitabh Bachchan, the look has been getting rave reviews and has been a topic of discussion amongst the public as well as the media. The film is presented by Sanjay Raut and directed by Abhijit Panse. She has made a lot of heads turn with her work for actors in more than 15 movies including Bajirao Mastani, Rangoon, Brothers, Mom, Haider, Parched, Hawaizaada, Shivaay, Talwar, Housefull 3, Ghayal Once Again, Finding Fanny, the Tamil film 24 as well as the pre-Mughal historical epic Nanak Shah Fakir for which she won the ‘National Film Award for Best Make-Up’. Her work will also be seen in awaited movies like Sanjay Leela Bhansali’s Padmavati, Umesh Shukla’s 102 Not Out, Vikramaditya Motwane’s Bhavesh Joshi and Sunny Deol’s Pal Pal Dil Ke Paas. 16 queries in 1.369 seconds.